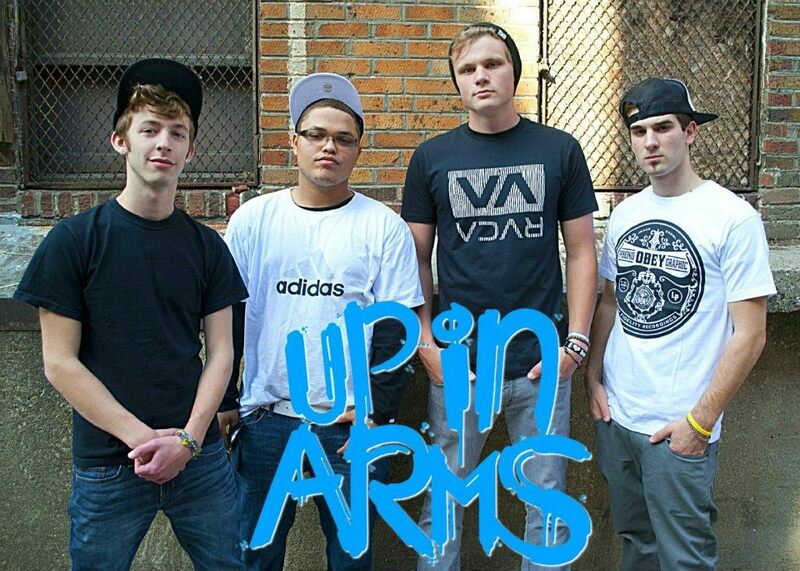 Up In Arms is a pop-punk band from Springfield, Illinois. The group consists of Paul Bill, Jared McDonald, Brendan Antonacci, and Gino Serra. The boys are not unseasoned in the local music scene, each coming from former local acts such as CrossTape, Second String, and Pound For Pound. Due to the wide array of previous experiences and environments, the musical style of Up In Arms naturally has an exciting combination of seperate elements to create their signature sound. Up In Arms was formed with the common state of mind to bring the best music they can into the MidWest, and relight the lost spark of Pop-Punk in the area. The boys are currently writing and recording EP number 2 and gearing up for every live show they can possibly be a part of. Hear Up In Arms on episode 7 of Blacksheep radio! To check out the other radio episodes, click here.